Liskow & Lewis is proud to congratulate Dana Douglas. The firm is proud to announce the United States District Court for the Eastern District of Louisiana selected Liskow & Lewis Lawyer, Dana Marie Douglas, as a United States Magistrate Judge for the District. A U.S. Magistrate Judge is a judicial officer of the district court and is appointed by majority vote of the active district judges of the court. A U.S. magistrate judge is typically selected based upon the recommendations of a merit selection panel composed of local attorneys and citizen representatives. A full-time magistrate judge serves a term of eight years. Dana has been committed to her community for her entire career. She is the immediate Past President of the New Orleans Bar Association and is Past President of the Greater New Orleans Louis A. Martinet Society. Dana served as Chair of the 2017 Annual Justice For All Ball, a fundraiser that benefits The Pro Bono Project, an organization providing pro bono civil legal services to the underserved in New Orleans. She also served as a Vice-Chair and Commissioner of the New Orleans Civil Service Commission. The Commission is the quasi-judicial and policy-making body that exercises oversight of activities of the city's Civil Service Department. Dana’s service to the community has been formally recognized by many, including the Louisiana State Bar Association (“LSBA”) and the Federal Bar Association. In 2008, Dana was presented with the Louisiana State Bar Association’s President’s Award. In 2016, she was presented the Federal Bar Association Camille Gavel Award, and in 2014, she received the LSBA Crystal Gavel Award. She was also a recipient of the 2017 Gillis Long Public Service Award from Loyola University School of Law. 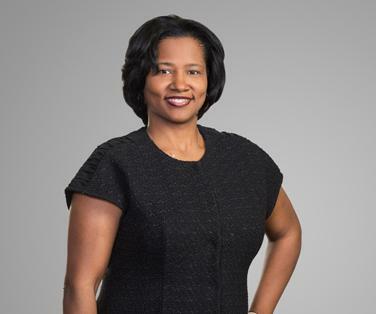 Dana was recently selected as a “Women of the Year” honoree by New Orleans CityBusiness and she was a recipient of the 2018 National Bar Association Women Lawyers Division Outstanding Minority Partner in Majority Firm Award. She has served on Liskow’s Diversity Committee for 15 years. She was also a Charter and Founding Member of the Louisiana Chapter of the Women’s Energy Network. Dana received her Juris Doctor from Loyola University College of Law in New Orleans, and she served as a law clerk to the Honorable Ivan L.R. Lemelle, Judge, United States District Court, Eastern District of Louisiana. Dana’s practice at Liskow & Lewis has been focused on energy, products liability, and intellectual property litigation in the state and federal courts of Louisiana and across a wide variety of industry sectors. Dana will assume her role as a U.S. Magistrate Judge on January 7, 2019. Copyright © 2018 Liskow & Lewis, All rights reserved.